IBM has unveiled a global blockchain network, Blockchain World Wire, that will offer near real-time cross-border payment exchange and international settlement. Blockchain World Wire can transfer funds in 47 currencies to locations in 72 countries, and the company is calling it the first blockchain network of its kind to integrate payment messaging, clearing and settlement in a single unified network. Blockchain World Wire leverages the Stellar protocol to support point-to-point money transfers, cutting out the intermediaries of conventional correspondent banking. World Wire also shortens settlement time by transmitting value via digital assets (cryptocurrencies or stable coins). The network currently supports settlement with Stellar Lumens and a US dollar-based stable coin. Six global banks have signed letters of intent to issue their own stable coins on the network, which will add the Euro, the Indonesian Rupiah, the Philippine Peso, the Korean Won, and the Brazilian Real to the mix. Rizal Commercial Banking Corporation (RCBC) of the Philippines and Banco Bradesco of Brazil are among the banks that have announced their participation in IBM’s new initiative. Representatives from both institutions highlighted “innovation” and the need to “enhance” or “add value” to the customer experience as key factors in the decision to join the network. Also believed to have signed a letter of intent is South Korea’s Banco Busan. 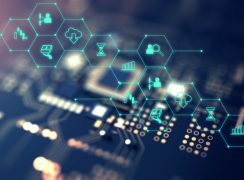 Only recently, IBM announced its partnership with CULedger, a credit union service organisation (CUSO), to develop blockchain-based services for credit unions.